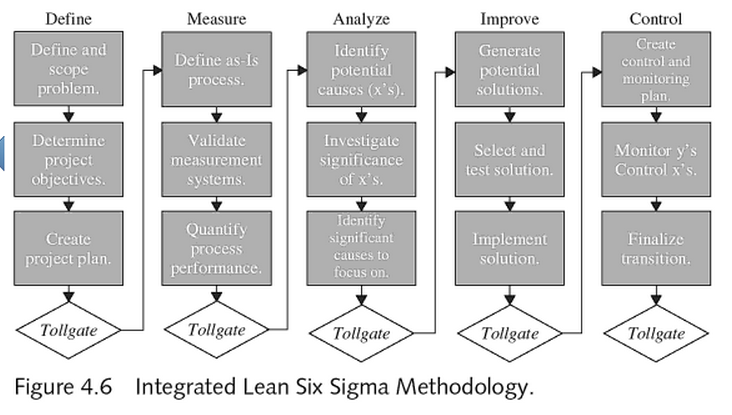 The problem is this "Lean Six Sigma" view has a project-centric (project only?) view of the world. This ignores Lean as a management system and an organizational culture. How do you create a project plan (in the "Define" phase) if you haven't yet identified potential solutions (in the "Improve" phase)? If you "finalize solutions," where is the room for continuous improvement, or Kaizen?